Sometimes it really takes a commitment to apply deep, singular focus for an entire day. This 1-day personal intensive program is designed to help you to create immediate simplicity, clarity and strategic vision for full alignment to your true path and purpose. Am I doing what I’m truly here to do? Am I seeing the results I expected? Am I happy, healthy and living the lifestyle that matches my values and desires? 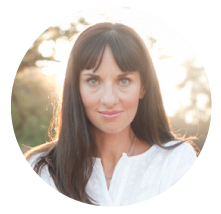 I offer these private intensives to create the space for a fundamental reset, realignment and crystal clear guidance on moving forward with intention. ~ Open you to receive the benefits of synchronicity and align you with the power of manifestation. Together we will push up our sleeves and map your way forward. What you will get from me…. Full-Day In-Person or Virtual Intensive- A full day focused on you, your life and your business. You feel seen, heard and inspired in ways you have never felt before. Follow up support – I delight in connecting people to resources, support and opportunities. Once you are a VIP client – your highest good is on my radar. And you’ll know it. 1 Month of Unlimited Access – Reach out to me via email or private Facebook page. Transformation comes with change – so whether the need is emotion, strategic or tactical I’m there to support you and guide you forward after our immersion. 30 minute follow-up Session – You are not alone. 2-3 weeks after our intensive we will reconnect and recalibrate where needed. Change can take time, but we’ve got you aligned to the destination and equipped for the journey ahead. If you would like to connect with me about your specific needs and discuss how to become a private client please complete the application and request one of my private mentoring spots. Please note: This kind of Intensive is a great place to start for clarity, strategy and alignment. If you know that you want guidance and support to implement and integrate our session you might want to consider one of my longer personal mentorship options.